With six ball joints, the gripper arms can be moved as required in all planes. A great help in the form of a third hand for intricate soldering work, when tinning, bonding and holding. - Whenever you need both hands. 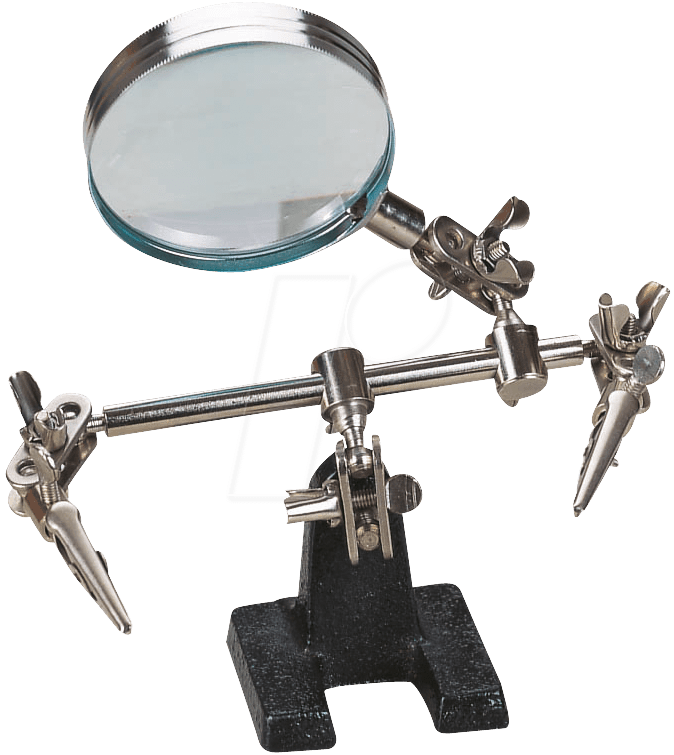 The glass 2-dioptre magnifier in a metal frame facilitates even the most precise work. two movable clamps. For a secure grip in any position.